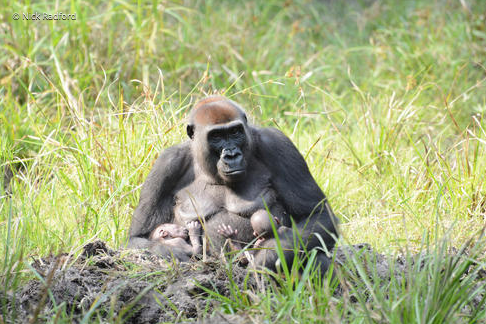 At World Wildlife Fund (WWF) conservation program site in Dzanga-Sangha in the Central African Republic (CAR), researchers and environmentalists have worked to habituate and conserve Western Lowland gorillas over the past 16 years. 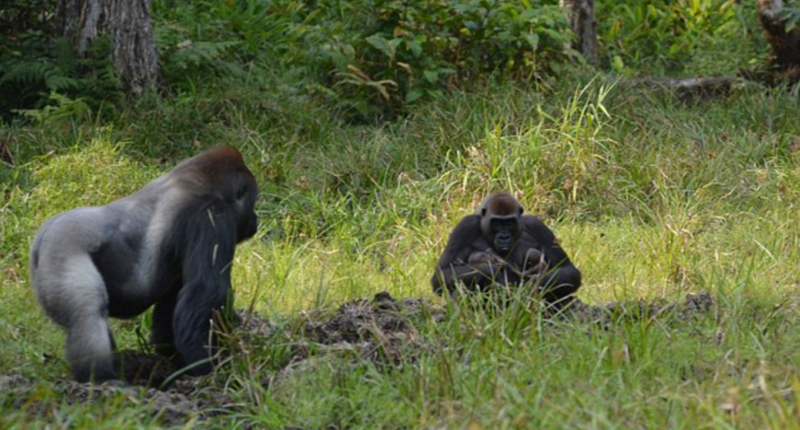 At the end of January, the first western gorilla twins ever recorded in Dzanga Sangha were born. The tiny twins symbolize incredible hope and success for the region as western lowland gorillas face enormous threats across Central Africa from poachers, habitat destruction and the population challenge of a longer gestation period. 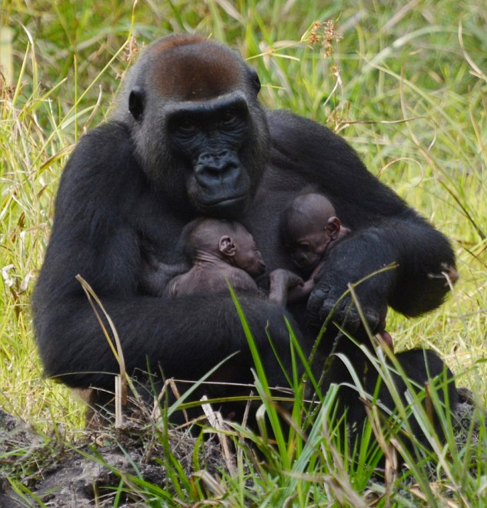 The critically endangered western lowland gorillas inhabit dense and remote rain forest in central and western Africa. Their habitats are in danger of irreparable loss from deforestation and the timber trade. The western lowland gorilla is also endangered by disease such as Ebola and black market trade—their body parts are for food and used in medicine. The Primate Habituation Program works to conserve and habituate wild gorillas for research and human tourism. WWF wrote in a recent statement, “The project employs over 80 eco-guards for continuous surveillance of the area and actively supports the sustainable use of natural resources.” The program is a major source of employment for locals and generates critical funding to strengthen the management of Dzanga-Sangha Protected Areas in Central African Republic. Ecotourism provides hope for protecting the future of endangered species like western lowland gorillas, as it generates funds for sustainable use of natural resources, wildlife protection and connects the local and global community to be stewards for conservation. 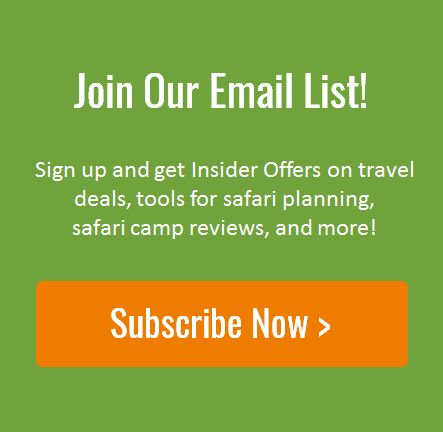 Together, Natural Habitat Adventures and WWF offer ecotourism trips in Uganda and Rwanda where tourists can trek into the rain forest and visit endangered wild mountain gorillas in their natural habitat. Click here to learn more about the WWF-NHA partnership. This post is by iSafari.com guest contributor Maia Wikler, a Colorado College graduate with a passion for anthropology, human rights, travel and conservation. When she isn’t writing or reading she loves to be active outside and planning the next adventure.